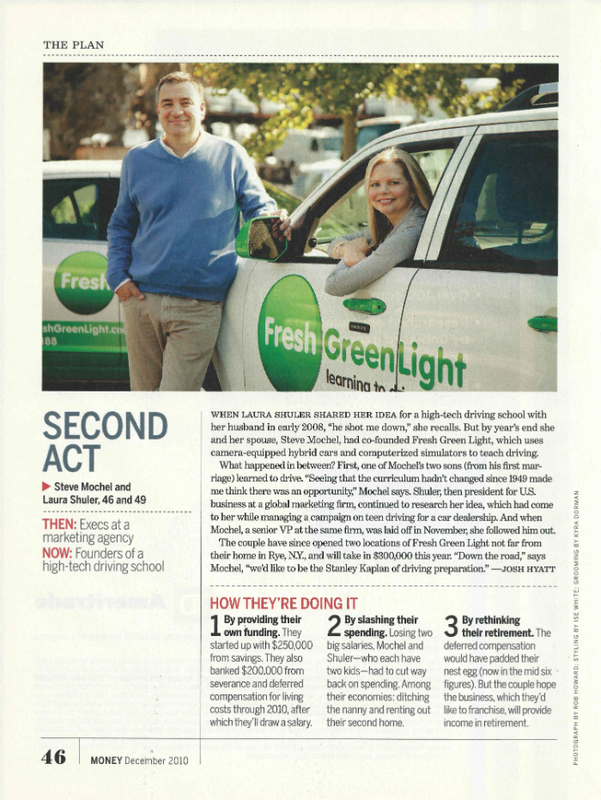 We're Steve and Laura, the parents of four children and founders of Fresh Green Light, the driving school franchise that's reinventing driver education. Are you ready to take control of your future and make a life-saving impact in your community? Car accidents are the number one cause of death for teenagers in the U.S. A big part of the problem is a lack of quality driver training. Fresh Green Light is a 21st century approach to new driver training that's been proven to be more engaging, more convenient and more effective for today's teen drivers. Meet the driving school franchise that's reinventing Driver's Ed. This website and the information contained in this website are not a franchise offering and they are not intended as an offer to sell or to solicit an offer to buy, a franchise. Franchises can only be offered in compliance with applicable pre-sale registration and disclosure requirements, if any, in your jurisdiction.